Yesterday, on Friday, 10/21/11, there was a Halloween party at my college. This was the mask I wore. 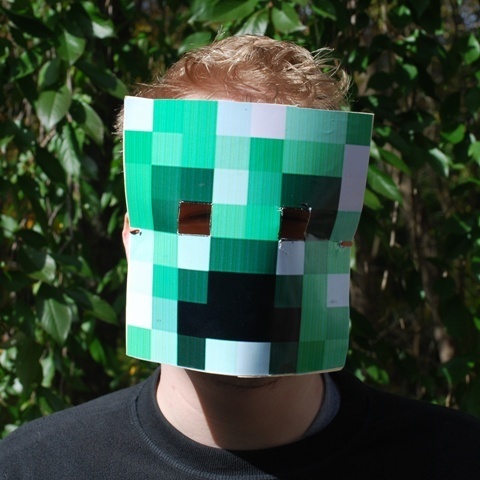 A CREEPER from Minecraft. Made in about 25 minutes. Questions? Comments? Death threats? Post them below! I think it looks pretty nice, you should make other masks and take pictures of you wearing them.